A Game That Sounds Torturous – Alfonso Ribeiro SPELL-MAGEDDON Interview! 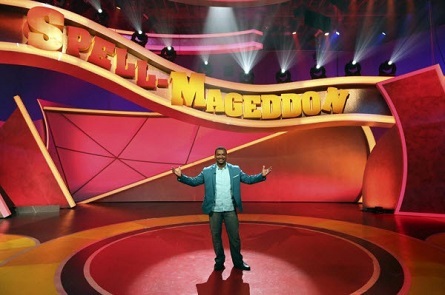 The host of new ABC Family game show Spell-Mageddon, Alsfonso Ribeiro recently talked to online media about the show. He said ABC Family contacted his management about “Spell-Mageddon, and he was intrigued by the concept of the show. Ribeiro went in for a screen test, and ABC Family believed he was the right candidate to host the show. He said the process was quick, and they began shooting nearly ten days after producers informed him he was going to host the show. During the interview, he explained how he knows each contestants’ biography, the high points of their lives along with the lows, what they are good at, and what they do. He said before the show begins, he really is not allowed to do too much interacting with the contestants. He also explained how he grew up enjoying game shows, and obviously this one is a spelling bee, however there is a significant amount of comedy instilled into it. The comedy plays a vital role in this game show where as most game shows are about the game, who is playing, and of course who wins. He mentioned one game called Zapped, where the contestants have to try to correctly spell a word while they are being zapped. There is also water being shot at their face, and a fire extinguisher going off on their backs. 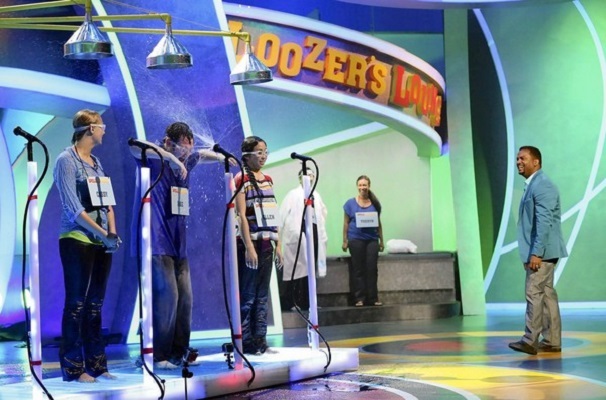 The contestants also experience blue slushies being thrown on top of their heads, all while trying to get the word correct. Sounds funny! Who knew a spelling bee could be that interesting, the show concept definitely sounds intriguing. Spelling bees were fun to watch in 3rd grade, after that they became dull, and lacked any form of entertainment value. Watching people get ice thrown on their heads may add a little something humorous to the rules. He said the reactions of these contestants are priceless. One of the ways he prepares himself to host the show is by simply listening. He learned how the games are played, what his part in driving the game is, and ultimately to think on his feet. When asked why people find spelling bees so intriguing, he responded: “most spelling bees are with kids our show is very different, we have adults doing it.” The show will be using words most people have heard of where as traditional spelling bees often use words most people have not heard of, the twist is they get a familiar word with a slushy being poured on their heads, and water being shot in their face! There is one game Ribeiro mentioned that sounds torturous, a contestant sits in a dunk tank where kick balls are being thrown at a bulls eye, the twist is the water beneath them is ice cold, and they have to spell out a word while getting dunked into the ice water. This does not really sound humorous, it is borderline dangerous. If one does not know, Ribeiro gained fame playing Carlton on the hit television show, The Fresh Prince of Bel-Air. He explained how the experience has been both a blessing, and a curse. He feels blessed because fans of the show really adored his character, and is flattered by the love they give him. He says it is a curse, because he does not like it when he is at a urinal, and some random people tap him on the shoulder, and ask him to do the Carlton dance. Spell-Mageddon premieres Wednesday, July 24th on ABC Family.